Although most of February is going to be packed with some big released, this opening weekend is going to be a bit quiet. 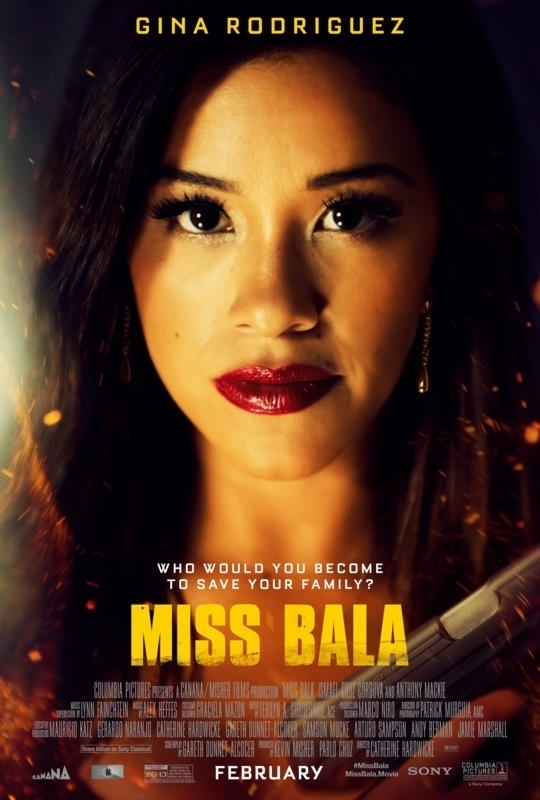 There is just a single new wide release, the saga of a beauty queen who is forced to work for a cartel in Miss Bala - itself a remake of the 2011 Spanish film of the same name. It is also the weekend of the Super Bowl - which still draws the biggest audience of the year, thus I don't expect it to have a huge impact at the box office, meaning the fading Glass, as well as The Upside and Aquaman will have one more decent weekend ahead of them. MISS BALA As I said, the film follows Gloria (Gina Rodriguez), a beauty contestant, who witnesses a crime and is the forced to work for a drug cartel. The film also stars Anthony Mackie, Ismael Cruz Cordova, Matt Lauria, Aislinn Derbez, Thomas Dekker and Cristina Rodlo. Rodriguez is starring in her first big-screen lead after impressing in the TV series Jane the Virgin. Miss Bala has one thing going for it - drawing out a primarily Latino audience, one that may not be swayed by football or the box office leftovers. If that audience shows up in force, Miss Bala could easily have enough to top the box office. Directed by Catherine Hardwicke (Thirteen, Lords of Dogtown and the first Twilight), this doesn't scream huge hit, but the original film has enough of a presence that it could make the grade. Even if it tops the box office, it better not get used to it as the rest of February is going to bring out the big guns. With the Super Bowl drawing a lot of eyes, I don't expect this to be a very exciting weekend, box-office wise. Still, I'll be back after the commercials (I mean the game) with the full breakdown of the weekend..